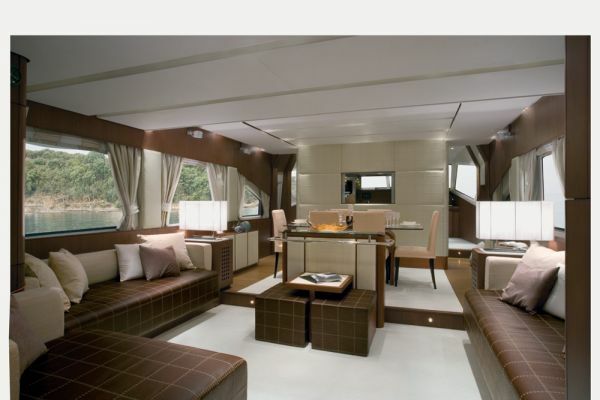 4 luxurious cabins + 1 crew cabin in separate quarters. TV, DVD, and Stereo music throughout in the saloon. 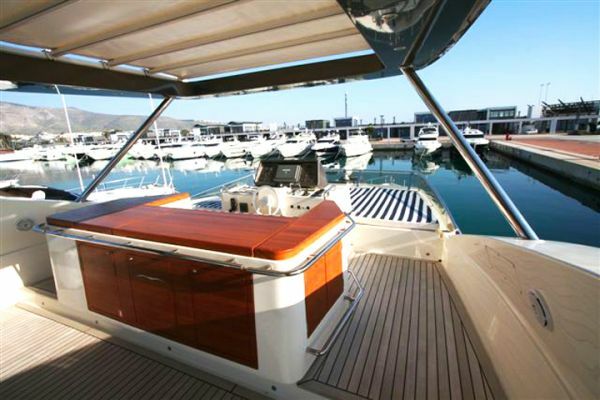 The tender comes compete with water skis, towing tubes, kneeboard and snorkeling equipment. 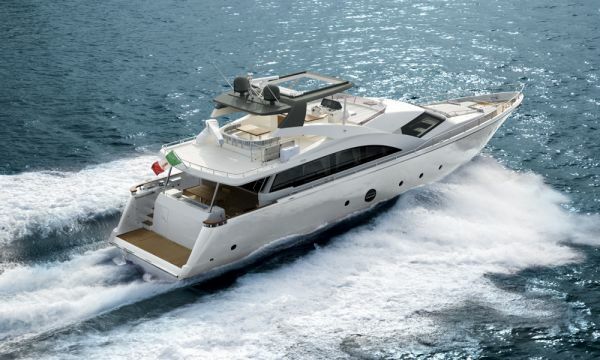 This impressive Aicon 75 motor yacht was designed by the Italian architect Marco Mannino and built by Aicon Yachts in Sicily. 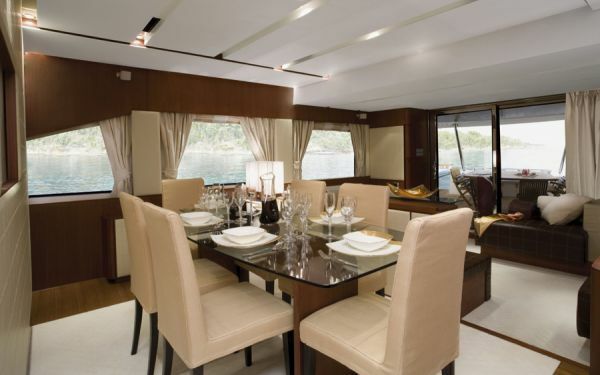 Designed using open spaces and natural flow, the yacht has a spacious aft dining area leading indoors to the open salon and dining room which further leads to the galley and bridge. The main salon is framed by large panoramic windows which allows for plenty of natural light. She has a bright and contemporary interior, with a sophisticated atmosphere created through beautiful lighting solutions, the use of teak, eco-leather inserts and rich materials. She has a good sized and comfortable main salon decorated mainly in cream and mocha, with a comfortable sofa lounge area and an elegant dining room with high backed cream leather chairs further forward for formal dining. 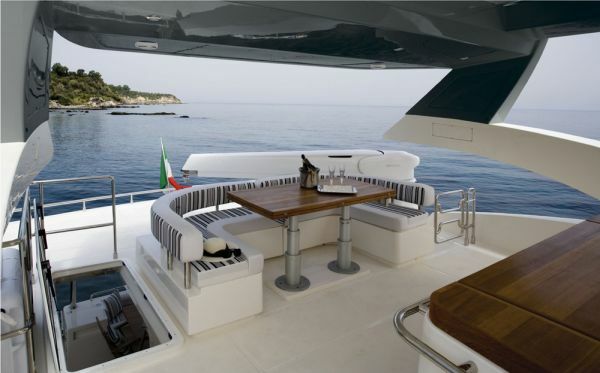 She also has good deck space offering a variety of settings for relaxing and dining. 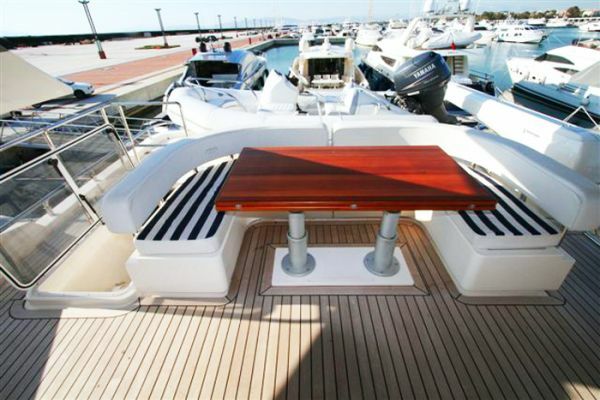 There is a comfortable seating and dining area aft of the main deck for alfresco drinks and dining, while the sun deck is nicely laid out with a further seating area and sun pads where you can soak up the sun and relax with a refreshing drink. 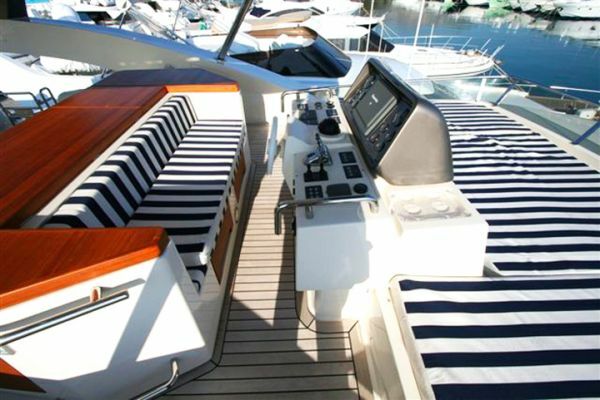 This wonderful charter yacht offers comfortable accommodation for 8-10 guests and is available for private charters in Greece, Turkey & East Mediterranean. 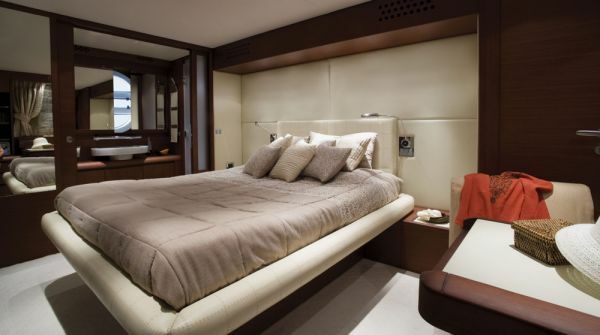 The VIP cabin is equipped with a central double bed, a large closet and a private ensuite bathroom. 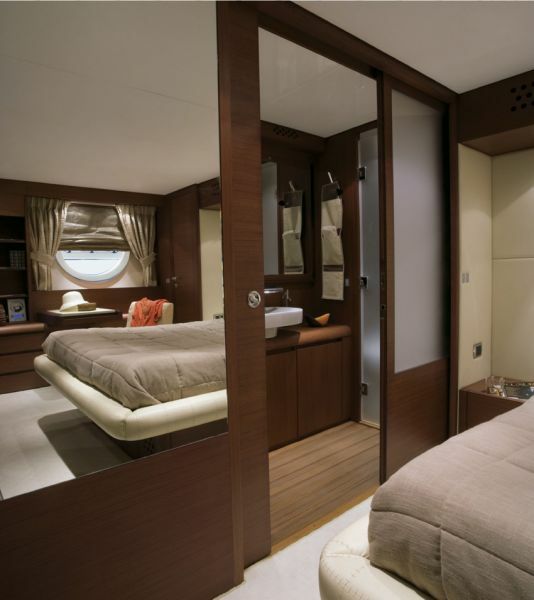 Two twin cabins are equipped with two individual single beds, closet and direct access to a bathroom. 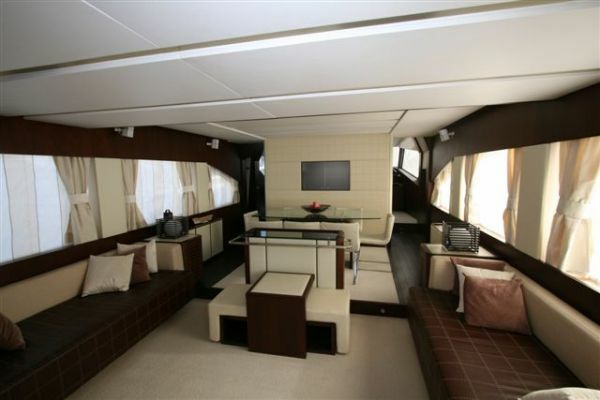 The master suite is quite impressive and is aft and full beam. This cabin has a double centre lined bed, a large bathroom and a small table with two seats that creates a small lounge by a large circular window. 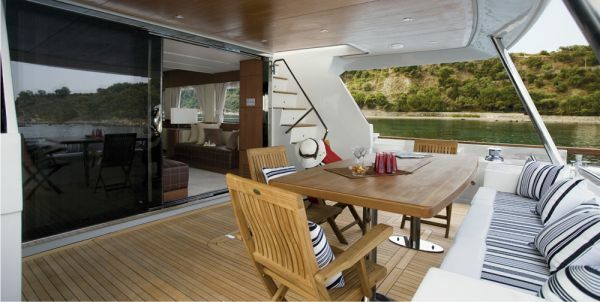 This Aicon 75 yacht also provides ample spaces for relaxing outside with two alfresco dining areas. 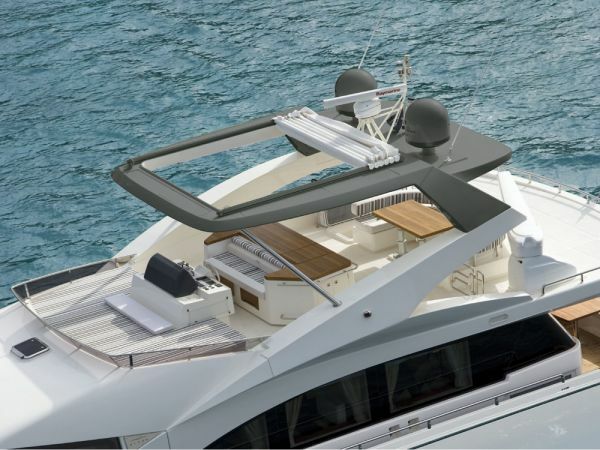 She is powered by 2 x 1570hp CAT engines to reach a maximum speed of 32 knots and a cruising speed of 27 and is well equipped with amenities including flat TV’s/DVDs, Home Theater Surround System etc. Her excellent Crew of three is always ready to cater every guest need! 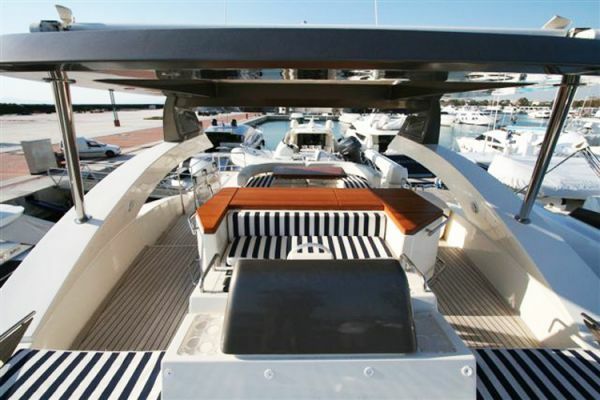 If you enjoy water sports, the Aicon 75 luxury yacht can offer a range of equipment including, a Tender, a JET SKI, Tubes etc. Diving is available by appointment. 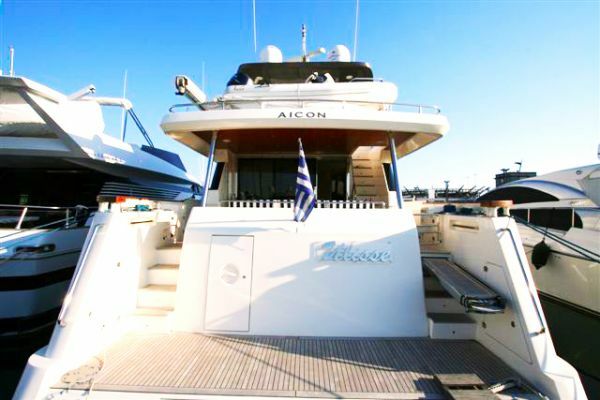 Luxury Motor Yacht AICON 75 is the ideal yacht for Daily Cruises and fast sea transfers in the Greek islands and coasts. 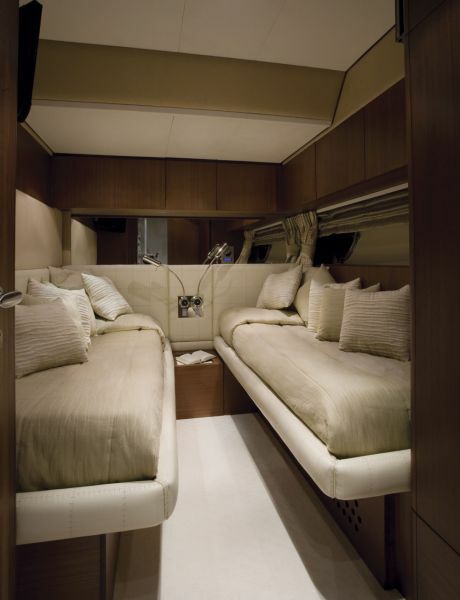 Two Twin cabins, each with two single beds which can modify to one big double bed (upon request, prior to booking). 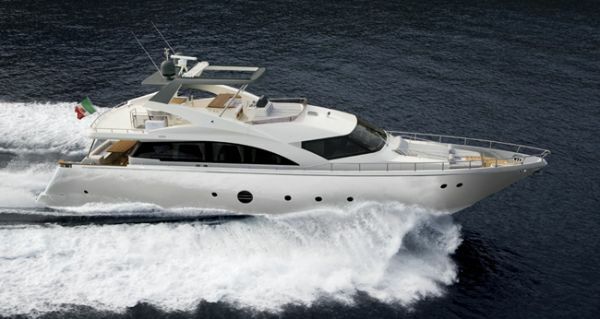 Engines Fuel Consumption: 470ltrs/hr at 23 knots + Generator (15 ltrs/hr).